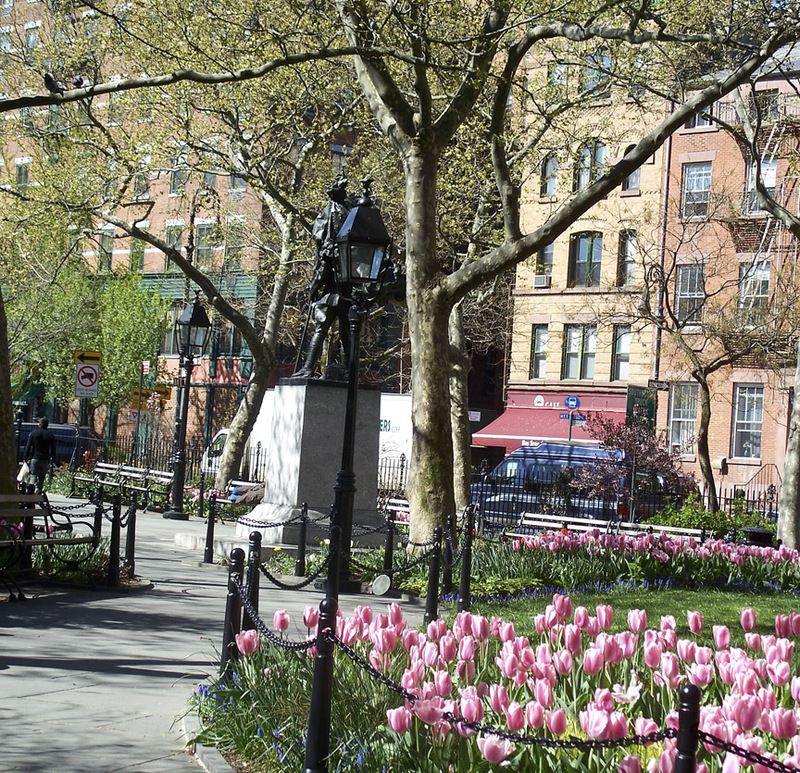 We came back from the Surtex show at the NY Javits Center in May to find the tulips all blooming in the park downstairs. 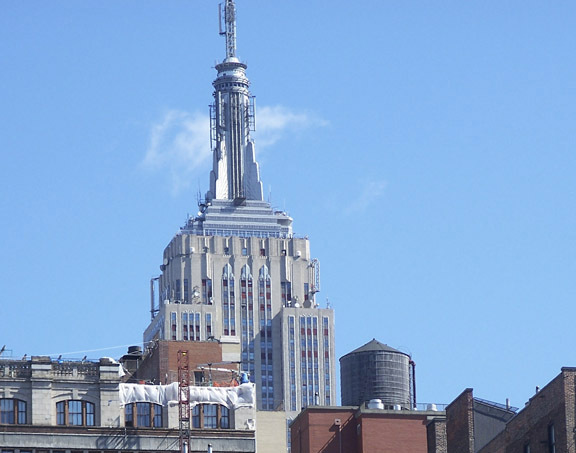 Our home in Greenwich Village is a renovated former GE factory dating back to the 1920’s. The scene is lively and colorful and at the same time very peaceful. We call it our urban village! 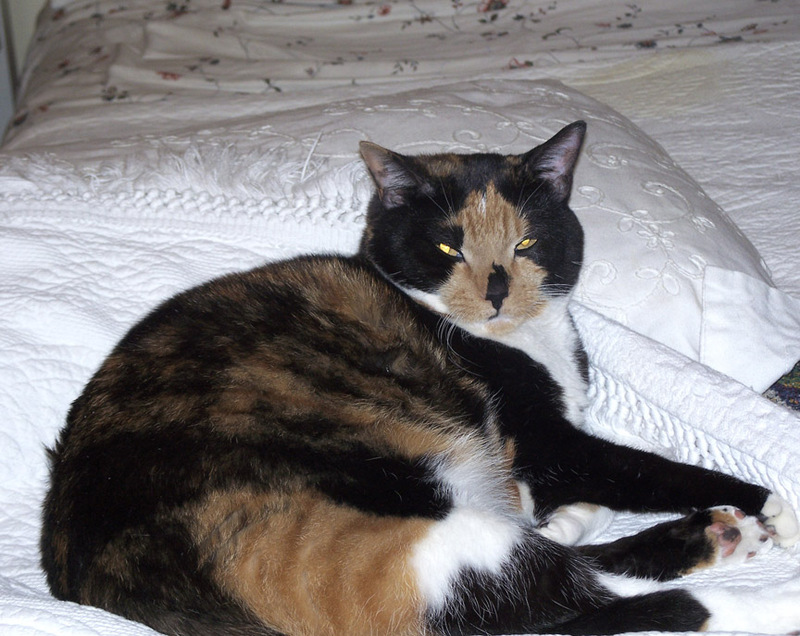 Our three cats Magnolia (a white and orange tabby), Buster (a grey and white tuxedo cat) and Louisa May (a tortoise shell calico) were happy to have us back. 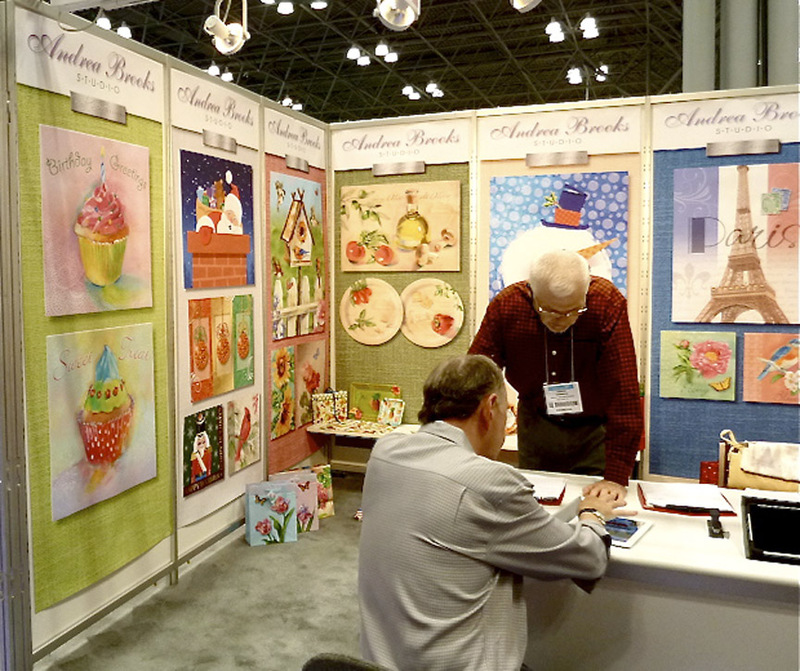 We were at the Surtex show for three full days. 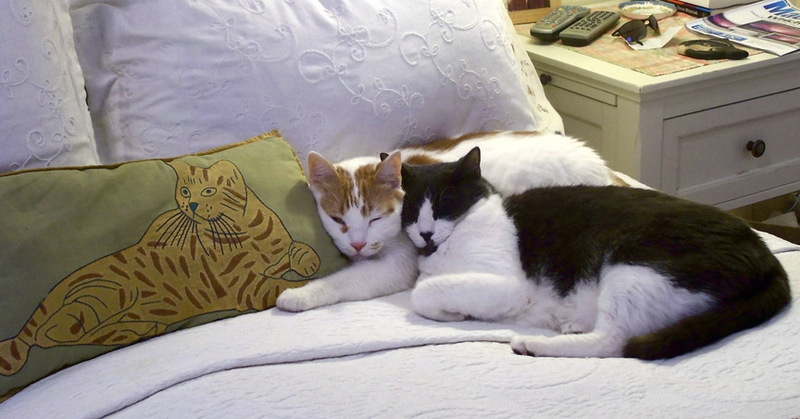 They’re used to hanging out with us all day. 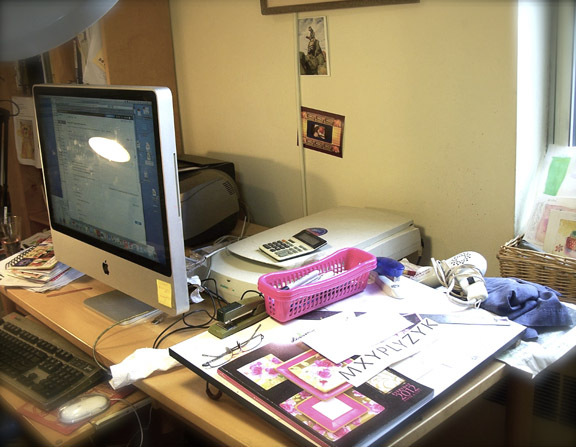 My office and studio is in one half of a very large space way in the back of our loft.It always gets messy when I am in the middle of a project. Our bedroom makes up the other half of the back . Decor is a combination of antique and Pottery Barn! Dennis’ workspace is at the front end of our loft. We had it designed by a company in New York called Techline. I can’t wait to do my space. Usually in the morning, we have a business meeting in his office. Then it’s back to our studios until lunch. We had over a thousand designs displayed on our two Apple ipads. The Show was lively and very upbeat. There was a general spirit of optimism and good spirits. Monday morning it rained heavily and the Javits Center’s roof leaked onto our exhibit hall. It was especially bad in our aisle. We were cordoned off and no foot traffic was allowed. We spent the morning gawking at the cherry pickers repairing the ceiling. No meetings that morning! Penny Sikalis the show manager handled this mishap with speed and thoughtfulness.Our spirits were not dampened! We had meetings with our clients and new manufacturers. If more than one customer appeared at the same time we had two ipads (dueling ipads) ready to go into action. I have fallen in love with technology, my iMac, iPad and now my iPhone. Stay tuned, there is more to come. 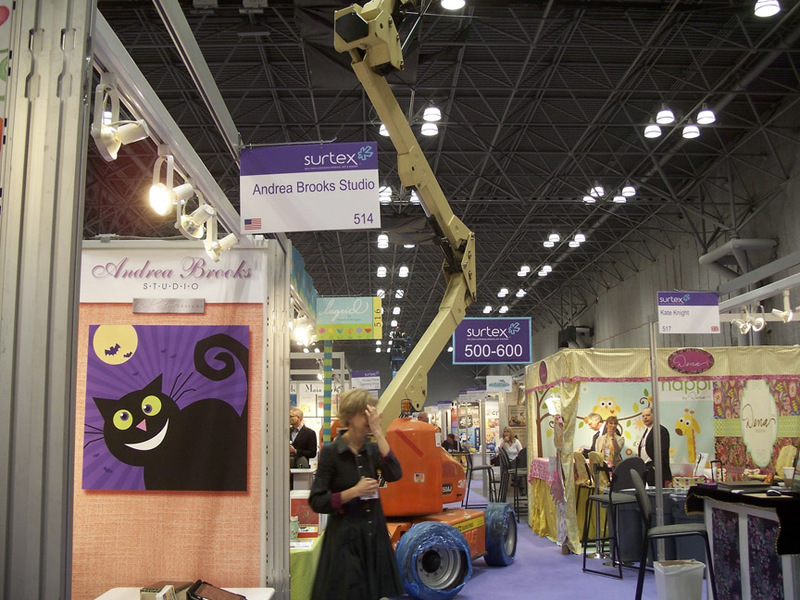 Surtex ran at the same time as the big National Stationery Show. 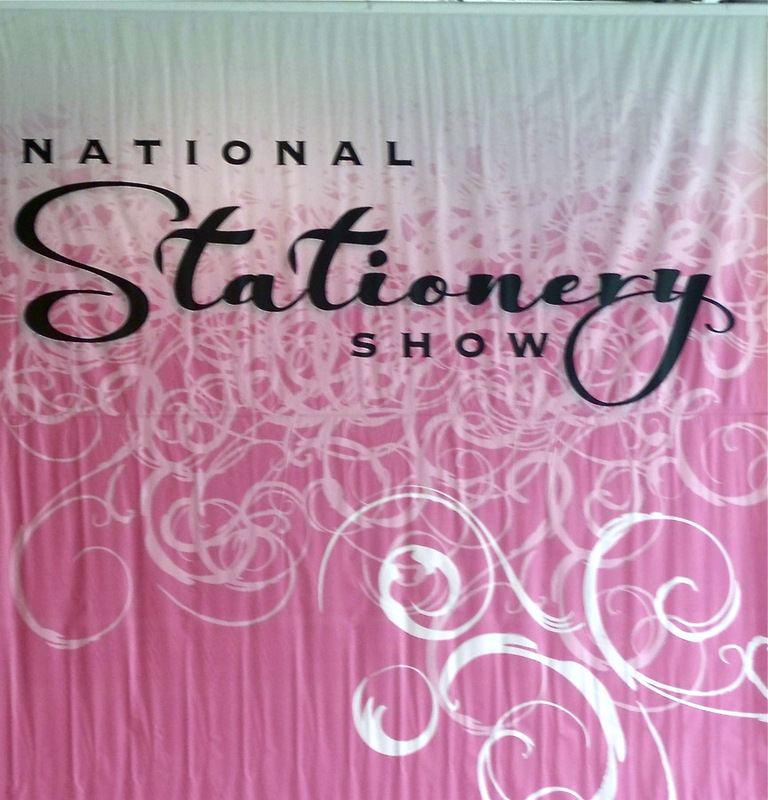 This is the big show for stationery and giftware manufacturers. It’s held in New York every May. I went over to the DesignDesign booth at the Stationery Show to see Dennis’ new collections of paper tableware: Leaves of Autumn and Joy. 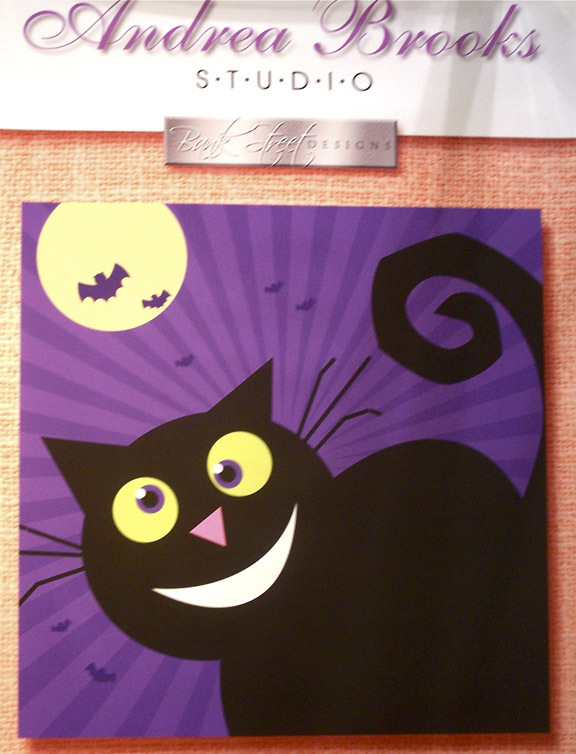 We also have a beautiful collection of greeting cards in their line. Dennis is a wonderful designer. 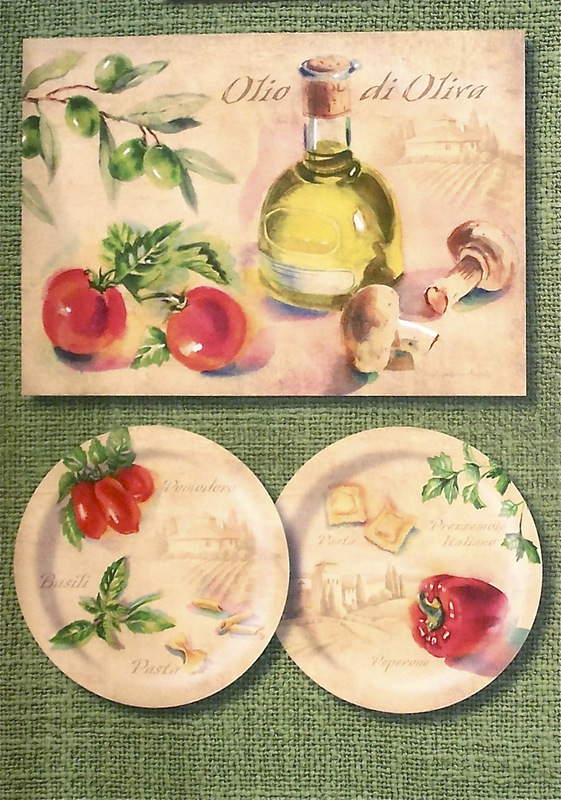 F0r him, “Less is always more”, my modus operendi is “Everything and the kitchen sink”. Another way we make a good balanced team. 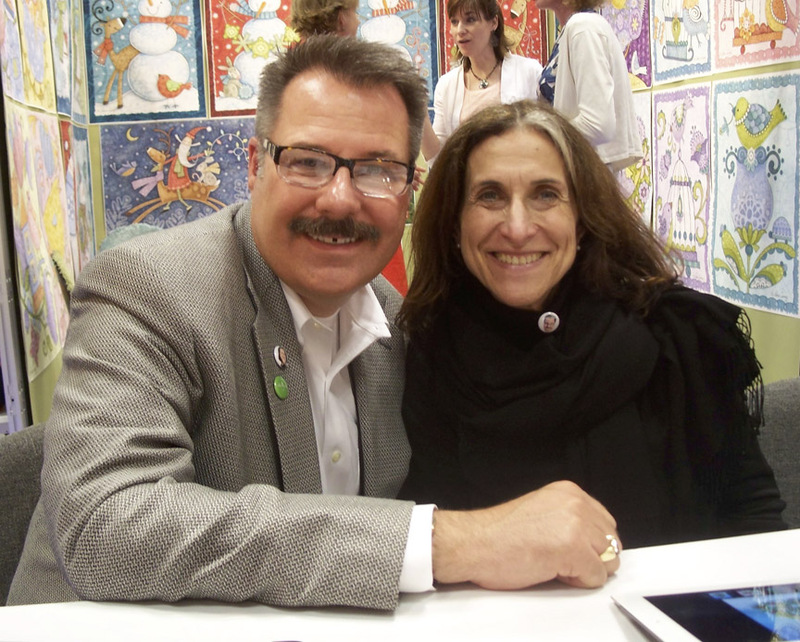 We had a great time withTom Vituj and Susan Birbaum of DesignDesign when they visited us at our booth. 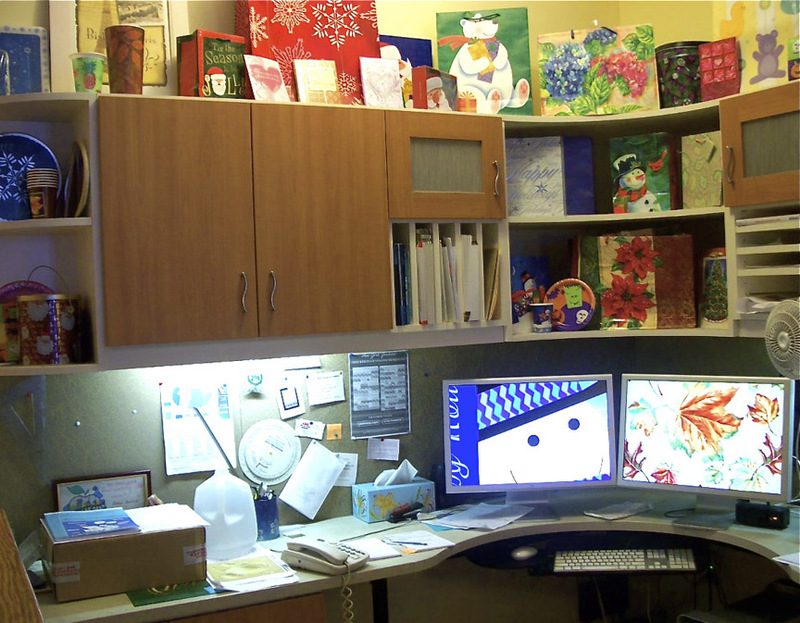 This Family-owned company is a manufacturer and distributor of gift and stationery goods. Their look is innovative and ranges from the whimsical to the elegant design. Their focus is on “celebration”. Lindy Bowman President of the Lindy Bowman Company met with us. 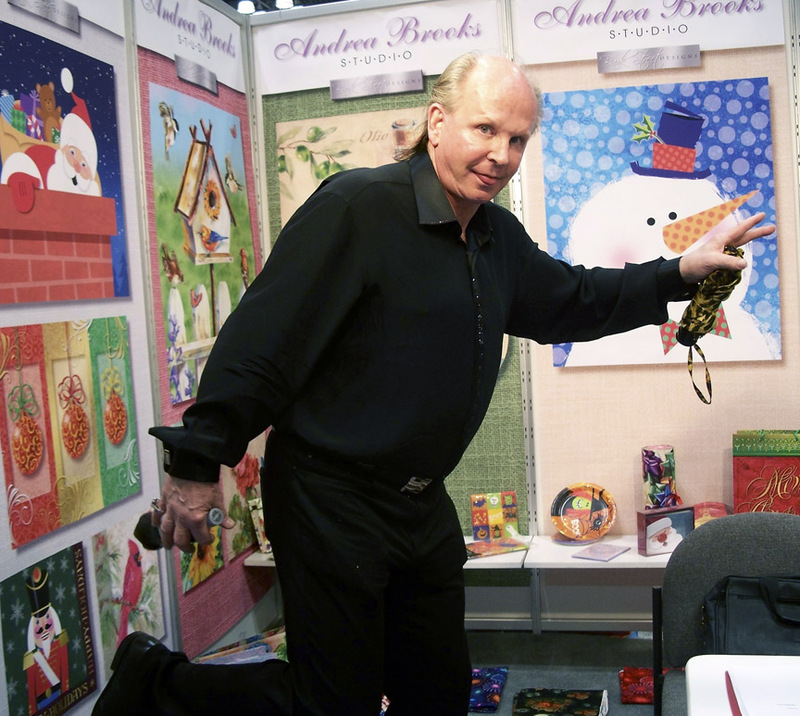 His company specializes in gift bags and boxes for holiday and all occasions. 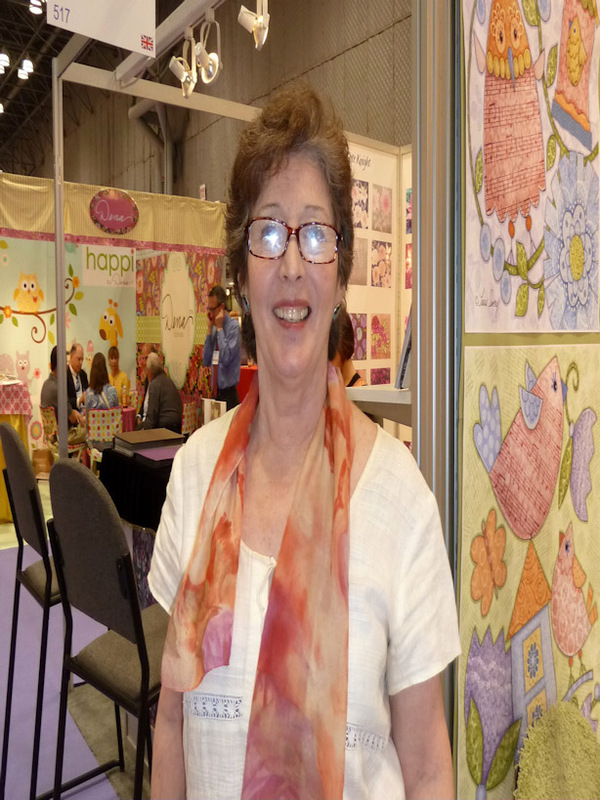 The products are beautiful and Lindy and Ellen Birkner, creative and product development manger, are fun to work with. 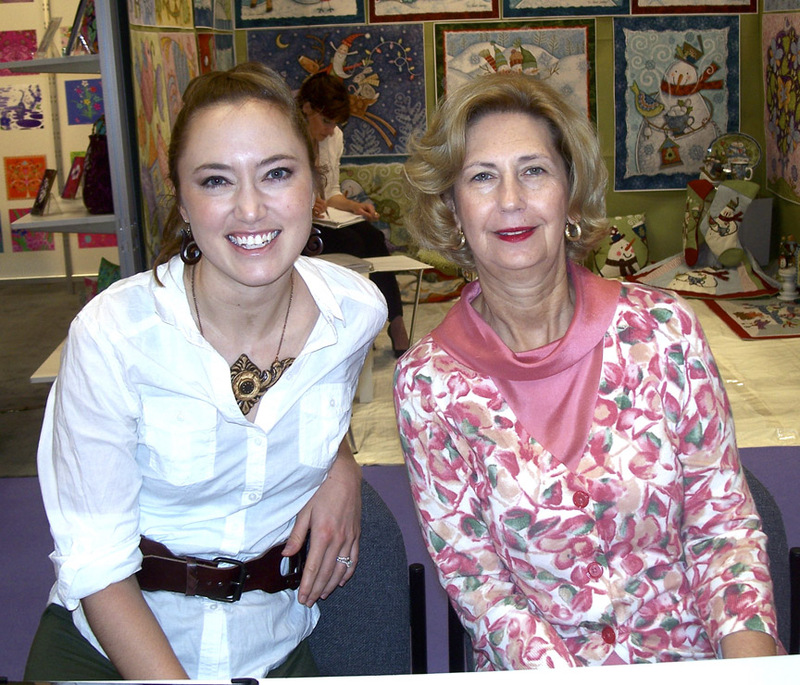 We were very happy to meet with Maxine Burton, owner, and Libby Embry, Creative Director, of Burton+Burton. 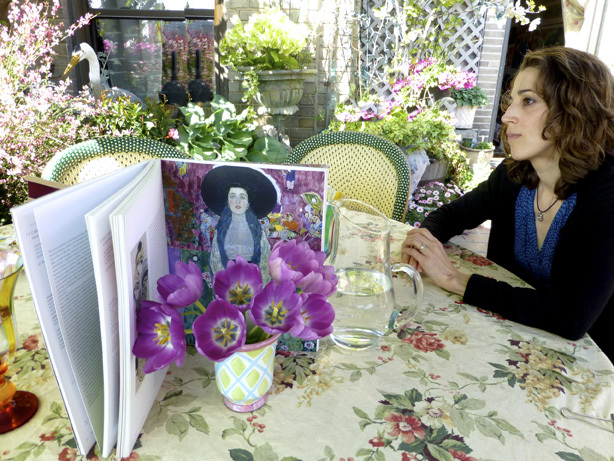 Maxine and her husband Robert started the company as Flowers, Inc., a balloon division of a wholesale florist company and since then it has grown to become one of the largest suppliers of balloons and gift products. Isn’t it wonderful that this year they are celebrating their 50th anniversary in business! They will be showing our newest collection, Savannah Afternoon at the July Atlantas’s Gift Show. It’s a lovely set with mug, fabric, tote bag, frames, stationery and wallpaper. 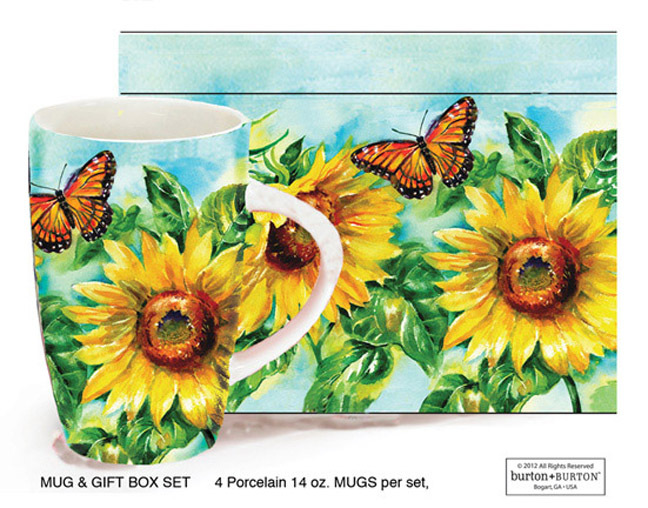 I’ll be going to Atlanta in July and am excited about seeing my painted sunflowers show up all over these products. It was great catching up with Mary Jo Hull of Dream Works Design who came to the show with her lovely daughter Abigail who I had been looking forward to meeting. Dream Works Design is a division of Wally Packaging. They do gift bags for holiday and all occasions. 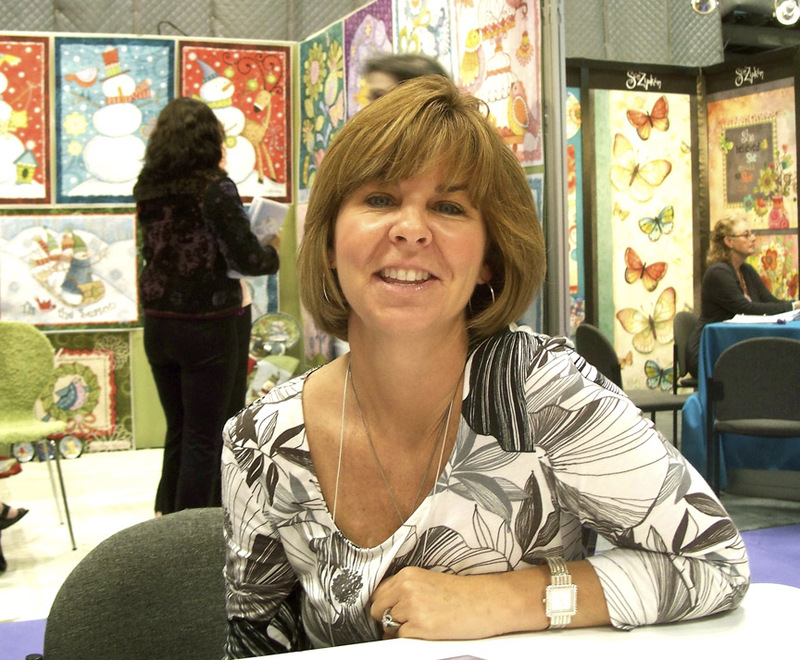 Mary Jo is a wonderful illustrator, mother of two and now a creative director at Dream Works. Not all our clients wanted to have their pictures taken. Dawn Kirschner of Unique Industries didn’t mind! Unique Industries is another family run business that has just celebrated it’s 50th year in business. They do wonderful paper and party goods. The business was started by Jeff and Ann Marie Novak and eventually passed on to their three sons Everett, Gary and Craig. Dennis and I enjoy being in the tradition of family owned businesses! In between meetings, our friends Tom Cathey and Joana Miranda visited and helped us take new PR photos. This one is called “Thinify”. This is one of the special effects you can play with on the new Lumix digital camera.Check out all its other features. This is next on my wish list. 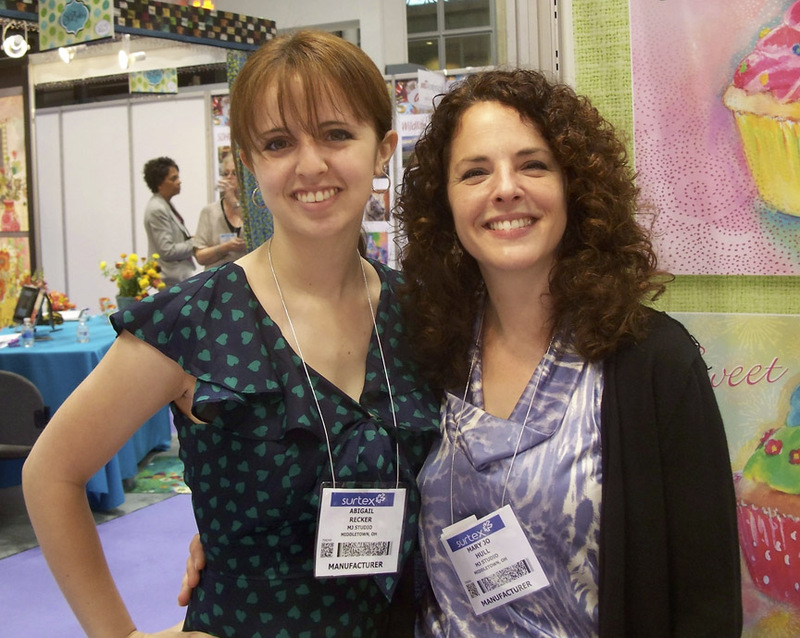 I have Joana Miranda to thank for teaching me about word press and how to set up a blog. Not only is she a wonderful and patient teacher, but an extremely multi-creative artist. 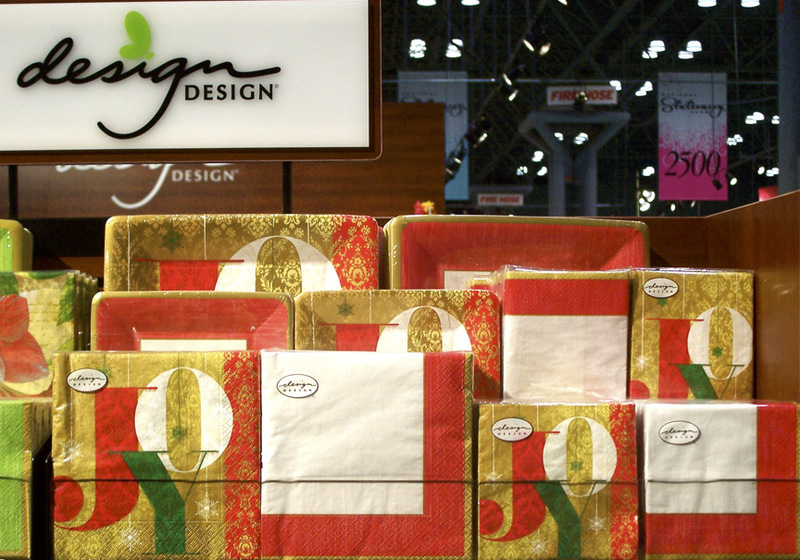 Make sure to check out Joanna’s blog called A Talent for Design. Tom Cathey introduced us to Joana. He also gave me mega help when I was green and starting out in Licensing on my own. Then when Dennis and I teamed up Tom was very supportive and forthcoming with help and advice. Tom is an artiste extraordinaire who was highly successful in licensing. Now he is a blogger. 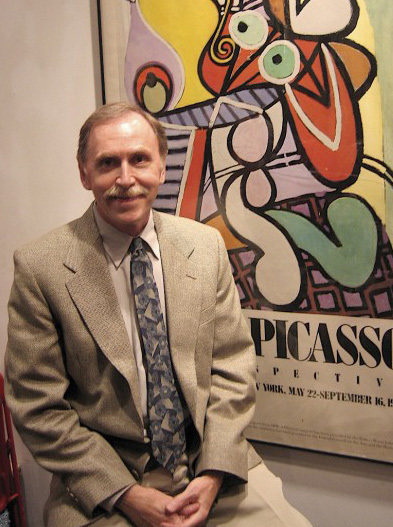 His site, Tom’s Eye View is a colorful, amusing and ever changing photo journal of New York places and events. Thanks Tom. We’ve come to the close of this post. I think I’ll end it just for fun with an image that Dennis did that I love and that always makes me smile.